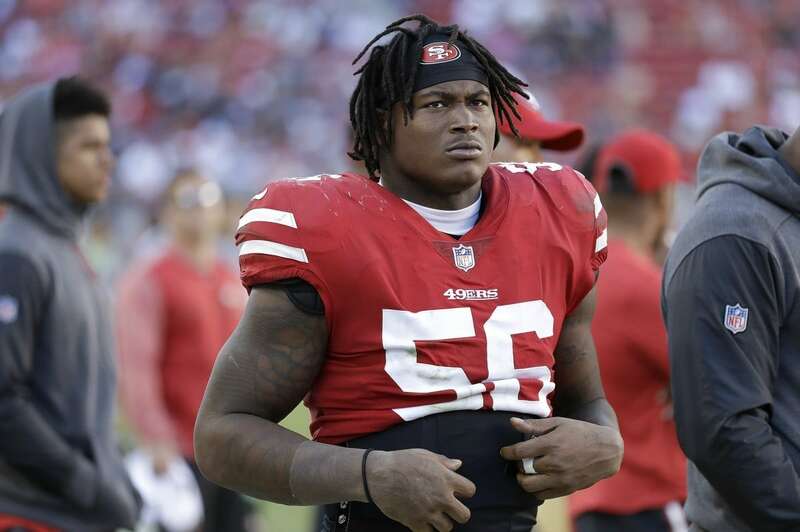 Elissa Ennis, Reuben Foster‘s ex-girlfriend, broke her silence on Thursday morning about domestic abuse in an interview with ABC’s Good Morning America. During the interview, she talked about the Nov. 24 attack and went into detail about what happened. According to a criminal report affidavit obtained by ABC News, the heated argument began when Ennis threatened to tell his new girlfriend that he paid for her flight to Florida. She then claimed that Foster slapped her phone out of her hand and later slapped her in the face, the report said. Officers arrived and saw an inch-long scratch on the side of Ennis’s left collarbone and took Foster into custody. He was later released on $2,000 bail. This was not the first violent incident between the two. Back in February, she accused Foster of attacking her but later recanted her story and claimed her injuries resulted from a fight with a girlfriend. What she said actually occurred was that Foster began throwing her clothes off the balcony before dragging her down the stairs, punching her in the face, and kicking her. She indicated during the interview that she changed her story to protect him, something that women in abusive relationships have been known to do. Changing her story may have played a role in officials from the San Francisco 49ers attempting to intervene in the police report, she claimed. Ennis said that she agreed to come to Tampa, where the 49ers were set to face the Tampa Bay Buccaneers, in an attempt to fix the relationship. Ennis called Washington claiming Foster three days later a “slap in the face.” Doug Williams, the former Washington quarterback who is now the Senior Vice President of Player Personnel, initially dismissed the charges against Foster as “small potatoes” before apologizing the next day. Ennis said that she simply wants to find closure with the issue and said that she is seeking professional help.